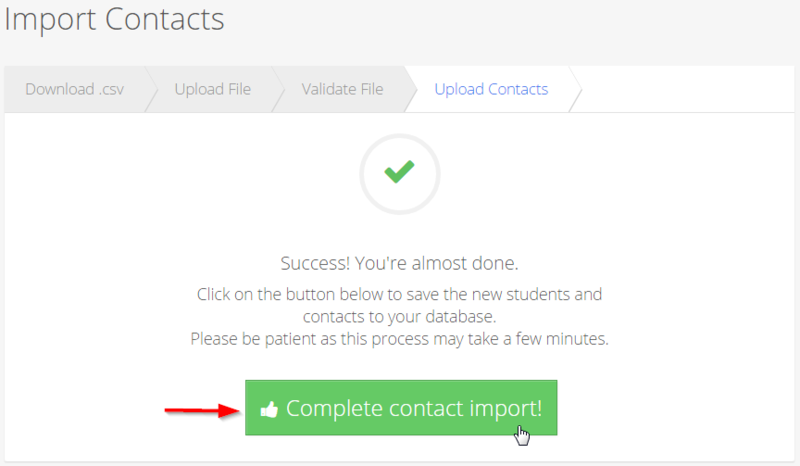 Boardingware gives you the ability to import contacts for your students using our CSV importing tool. You can also do this simultaneously when you do your initial student database import. In your Contacts tab click on the import contacts icon. Note: Please be sure not to change to the order of the columns. 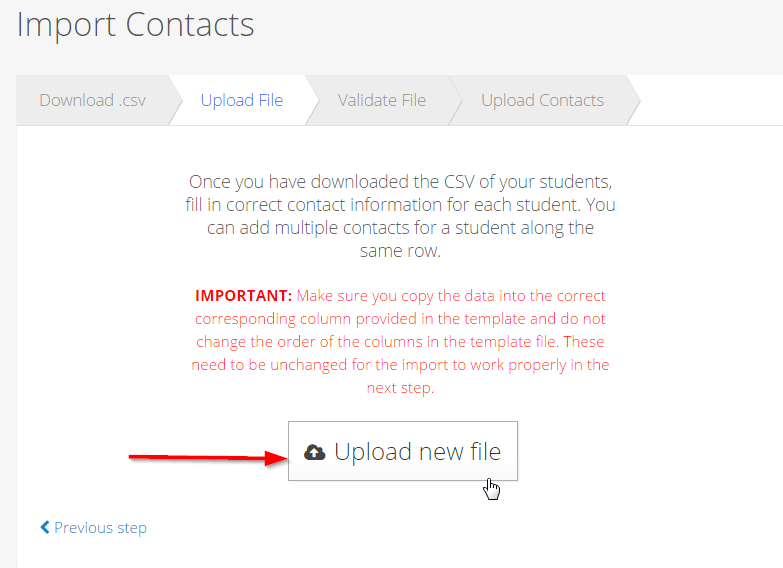 Back in the School Management page, go to the next step and click the upload new file button, then choose the CSV file you just created. The CSV will pass through a validation process. If there are any errors, there will be error messages so you know to how to modify the CSV to fix them. Once the validation process is complete, you are done! Just click this button to complete the task.